Aluminum Guardrail Safety Systems improve protection for workers on stage planks. Available in 12′, 16′, 20′, and 24′ lengths. Each is complete for one side of the stage plank. 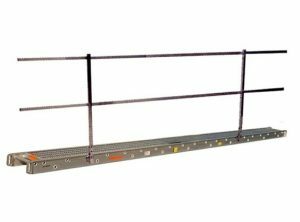 Includes guardrail, mid-rail, toeboard, stanchion post assembly, and rail sockets. 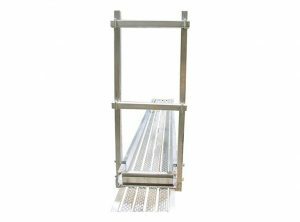 Aluminum End Safety Rail Systems improve protection for workers on stage planks. Available in 14″, 20″, and 24″ widths. Each is complete for one end of the stage plank.